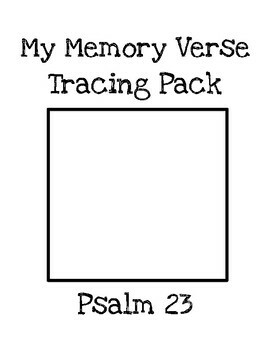 I printed the fourth verse of our Psalm 23 Bible Verse Tracer for the boys to work on this week. On Monday, the boys listened to the Sing the Word track and traced their worksheets. On Tuesday, the boys illustrated their verses. On Wednesday, I cut apart their tracers and they glued them together like a puzzle in their Bible lapbooks. This week we were learning about ancient China. The kids are REALLY into Minecraft. I challenged Bub to build the great wall of china. We opened our Usborne World History book for reference. Jordan got his sister and friend to help him make a miniature version of The Great Wall of China. It turned out really nice! Great job guys! We read about some of the cool inventions and contraptions that the Chinese invented long ago. We brought out our Chain Reaction Kit from Lakeshore Learning. Bub was inspired by the instrument that detected earthquakes. We read about Chinese landscape art and were inspired to create our own. I remember doing this with Haley and Jordan when she was in first grade. I set out trays with white paper, their watercolors, and brushes. We watched a few time-lapsed winter landscape art clips on youtube. They each painted a different landscape scene, but they were all so beautiful! We set them aside to dry. We brought out Nu’s China Kit (Sonlight Core F). We added water to the stone and started grinding the ink stick. The boys took turns grinding it in the stone. We kept at it until we achieved the hue we wanted. They painted the Chinese characters for “river” and “mountain” which combined translate “landscape”. Haley added the characters to her painting as well. We continued lapbooking around the world with Kate and Mack. This week we were learning about Bangladesh. We located Bangladesh, near the border of India. We brewed some decaffeinated chai and the kiddos sipped it while working. It’s nice to “taste” some of the flavors of the countries we’re learning about. The smell of cardamom, cinnamon, clove, and ginger filled the air while Bub was coloring the flag of Bangladesh. I helped Parker sketch the Bengal tiger in his lapbook. Since the boys and Haley were learning about ancient India, my husband ordered a nice variety of dishes for the kids to sample. Haley loved trying all the Indian dishes. She just wrapped up her studies on India, so this was a fun and delicious way to to close the chapter. Parker loved the Salmon Tikka and Jordan loved ALL of the chicken dishes best! Everything was SO delicious and the Naan…there are NO words! 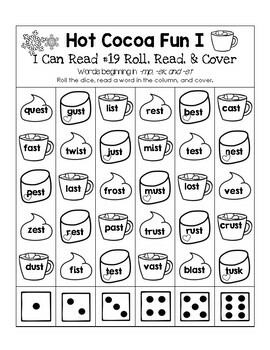 I created a Roll, Read, and Cover worksheet for our I Can Read It Lesson #19. Parker used his dot paint colors as he read and colored through this week’s worksheets! This week Parker was working on making word families. 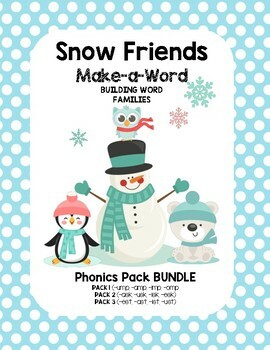 I created several Snow Friends Word Family packs. 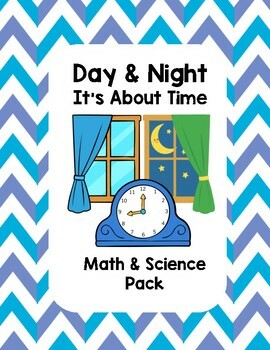 You can purchase the packs here at our TPT Store. There’s a bonus FREEbie in each Preview! Parker used the letter tiles to create new words for each word family. As he created a new word, he would write it down for more handwriting practice. I brought out the full-page Make a NEW Word mat from the Winter Friends pack. Parker used the letter tiles to form new words as a new word building activity. This week Parker was working on reading his color words. 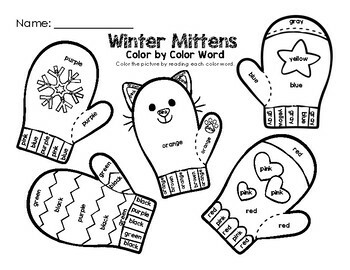 I created a fun Winter Mittens Color by Color Word worksheet for him. Parker read through the color words on each mitten. It was so colorful we posted it with his art projects! Since Bub was learning about time and hours of daylight in his FIAR Owl Moon unit, I created a Day & Night pack for both boys to work on. First, we read several books about seasons, the sun, and telling time on our Epic app. Next, the boys read and colored through the pages. This was great reading practice as they read through the close reading box at the top of the page and colored in the correct answers. This was a great addition to our Singapore Math work. Everyone benefited from additional telling time practice as well as learning some of the science behind it. This week we continued learning about the human body. 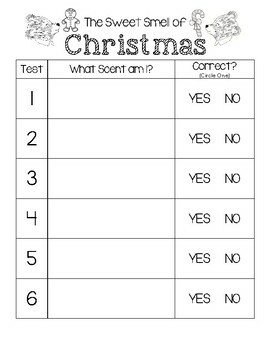 A few years ago, I created “The Sweet Smell of Christmas” worksheet to go along with Patricia Scarry’s The Sweet Smell of Christmas Little Golden Book. First, we read the book then I prepared our smell ingredients. I chose all the scents of the book except pine, because I didn’t have any. I used a vanilla scented candle instead. I added hot water to the hot cocoa jar as well as the candy cane jar and immediately covered them with foil. This really helped seal in the scent for our experiment. I covered each jar with black construction paper, because you just never know when eyes could be sneaking a peak. This time around, I didn’t use the labels, but had them write in their best guesses. They lifted their blindfolds in between each scent to record their answers. When they were all done, I revealed the answers. The candle got “sugar cookie” and “frosting” responses, but I gave them credit since they both contain vanilla. 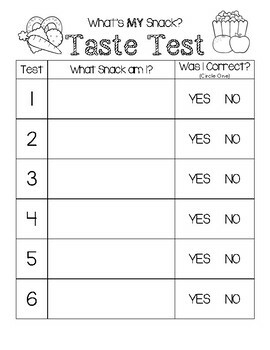 I created a “What’s My Snack?” taste test worksheet for this activity. We brought out our magnified mirror to see the taste buds on our tongues. Afterwards, we headed to the kitchen for a What’s my Snack? Taste test. Everyone had their pencils ready to record their answers. I washed out and reused our scent jars for this test. I carefully placed a sample snack in each mouth and made sure no one watched to see what it was. After tasting, they recorded their guesses. This was an after school experiment served with hot cocoa. The sample snacks were CARB-a-LICIOUSly good….what a way to end the day! The last was Parker’s favorite….chocolate! Pretty sure he enjoyed this (not-so-healthy) “snack” best! 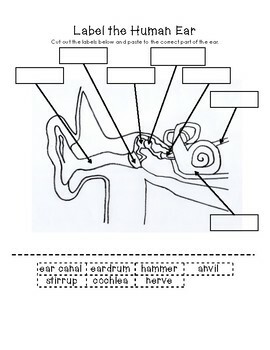 We may do a few more 5 Senses experiments in the future, but I decided to have the boys color code the parts of the ear. I printed our Human Ear Booklet, brought out the parts of the Ear cards, and our foam human head to see the various parts we were color-coding. 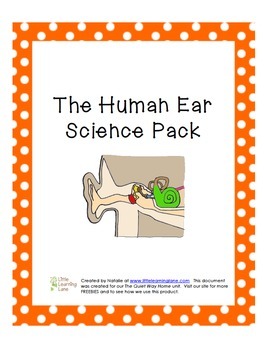 The Human Ear Science Pack is for purchase, but we also have the Label the Human Ear worksheet FREEbie. Download your worksheet FREEbie here at our TPT Store. The boys color-coded the parts of the ear as I reviewed the nomenclature cards with them. This week we learned about mixing various items in water. 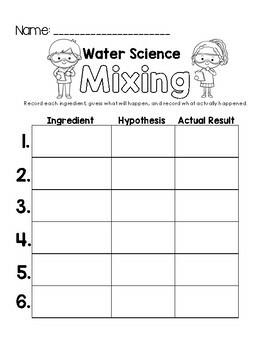 I created a Water Science – Mixing worksheet for the boys to use during our science experiment. First we gathered our ingredient, empty glass jars (oui jars), and water. Jordan poured about an inch of water in each jar. They took turns mixing their ingredients into the water jars. They compared their “guesses” to what actually happened when they were done. They did great! Well, week 19 is a wrap, but we’re looking forward to more fun next week!